Africa has many natural tourist attractions. In recent years, travelers traveling to Africa has been increasing. 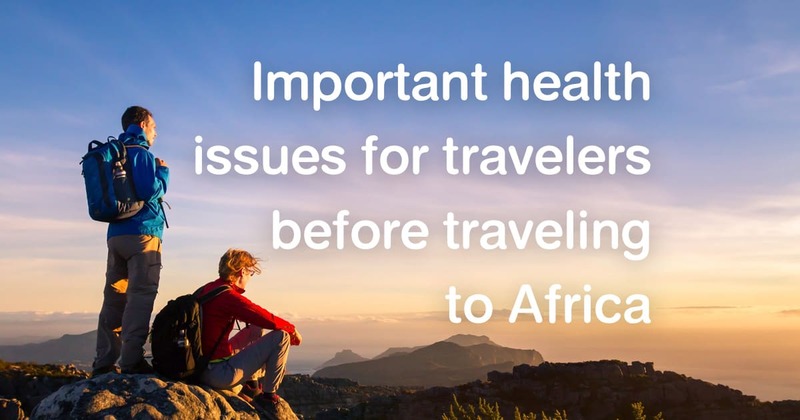 The popular destinations include Safari such as Kruger National Park, Masai Mara National Park, Mount Kilimanjaro, Victoria Falls, etc., where these places may pose some health risks to travelers such as malaria, yellow fever, high altitude illness, etc. Therefore, it is essential for travelers to know about these risks, prevention, and to prepare themselves before beginning the trip. Yellow fever is viral hemorrhagic fever carried by mosquito with a high fatality rate. It is endemic in several countries in Sub-Saharan Africa. Travelers should be noted whether the countries that they will travel to are in the yellow fever risk area or not. The vaccination for yellow fever require at least 10 days before departure. Moreover, yellow fever vaccination is also international regulation, travelers may be required to show proof of certificate of vaccination for entry into certain countries. Malaria : Many areas in Sub-Saharan Africa are the high risk malaria-endemic areas. Sub-Saharan Africa accounts for 90% of global malaria cases and also in travelers. Malaria is not only presented in forested areas, but also in capital cities. Pre-travel consultation regarding malaria prevention including mosquito protection and malaria chemoprophylaxis is recommended to all travelers to these destinations. Meningococcal meningitis is a serious bacterial infection that cause brain and spinal cord infection. The fatality rate is as high as 50% if left untreated. The disease is transmitted by respiratory and throat secretion. The burden of disease is highest in meningitis belt stretching from Senegal to Ethiopia. Travelers are at risk if they have prolonged close contact with local people in these areas. Therefore, doctor discussion about meningococcal vaccination should be recommended to travelers to meningitis belt. Schistosomiasis is caused by blood fluke found in natural freshwater resources such as lake or river. People can be infected by skin penetration of parasite when they contact with contaminated freshwater by wading, swimming, or bathing. The parasite mainly affects liver, intestine, and bladder, causing chronic inflammation. When traveling to Sub-Saharan Africa, travelers should avoid wading or swimming in freshwater to prevent risk of getting schistosomiasis. African sleeping sickness is parasitic infection caused by Trypanosoma sp. Infection is occurred by tsetse fly bite. At risk travelers include those who visit safari or game park, most commonly, in Tanzania. Infected people will suffer from neurological symptoms, insomnia, and death if not treated. Travelers should wear medium-weight long-sleeved shirts and pants in neutral colors, use repellent, and permethrin-treated clothes to prevent from tsetse fly bite. Although these infectious disease are life-threatening, all of them are able to be prevented by good pre-travel preparation.